What the hell is going on at the Veteran’s Administration? First, a Vietnam Vet dies at a VA in Oklahoma with maggots in his wounds. They weren’t the cause… nope, the sepsis that developed because the wound wasn’t kept clean was and it killed him. Now, something just as horrific in Florida has occurred. A veteran died and the staff placed the body in the hall, then they moved it to the shower and it was allowed to decompose for nine hours before being found. Then the staff tried to cover it up. This makes me furious. This is how we treat those who have put their lives on the line for us? Just monstrous. To make this even worse, not one staff member was fired over this incident. Not one. This veteran died in hospice care and this is how they treated him after he died… I’m sure he probably passed all alone. This is simply unconscionable. We’re still dithering around over an election that is decided, while our veterans are dying in horrific circumstances in these VA hospitals. The whole system needs to be gutted and redone. Our military should get the very best of care… not thrown around and hidden like garbage. It makes you want to cry. 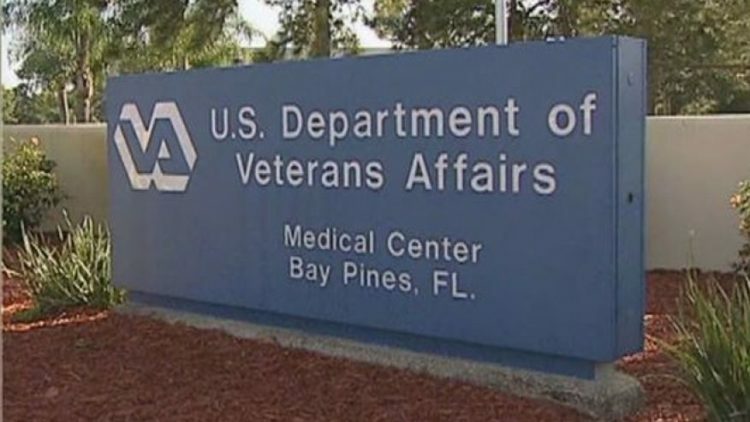 “An internal report blames staffers at a Veterans Affairs hospital in Florida for leaving the body of a deceased veteran to decompose in a shower for nine hours and then trying to cover it up. The James A. Haley Veterans’ Hospital in Tampa, Florida is also infested with cockroaches. Contractors called to handle repairs in the canteen kitchen are said to have found “buckets” of rats, roaches and feces. Last week three dead rats fell from the ceiling in the hospital kitchen. Roaches are getting on food trays that are served to the vets. When cornered on the rat problem, unbelievably hospital spokeswoman Karen Collins said, “It’s important to remember that the rodents found deceased means our efforts are working.” She was referring to exterminators called to handle the problem. It should never have been allowed to get to that point. Just disgusting. The hospital kitchen has also been shut down by health inspectors. I’m definitely not surprised by that. The hospital’s Infection Prevention Coordinator, Miriam Ruisz, was concerned they would wind up in the news over all this. Well, congratulations! You did and I hope they shut your facility down and prosecute all of you. Because when you get right down to it, the filth and lack of care is killing people at that VA hospital and others. Mr. President, what kind of cold hearted, callous, uncaring, obtuse person are you? You expect us to just accept this horrific treatment of our veterans under your purview? And to Robert McDonald, current VA secretary, you should be ashamed, sir! You are the ignorant individual who compared our veterans waiting for proper care to being at a damn amusement park — and the pathetic Obama claimed you’ve done a fantastic job and have his complete confidence. Both of you should be made to go into every VA hospital in America and apologize. However, we know that won’t happen because the essence of liberal progressive socialists is that you don’t care about our veterans. Heck, you jerks believe a deserter serves with honor and distinction. This is personal for Allen West. His father passed away in a VA hospital. He did so with good care and dignity. But something has gone horribly wrong with the VA. President-elect Trump has promised to hold these people accountable and I hope he does. I pray he fixes this system that our veterans need so badly. Barack Obama didn’t give a crap about our warriors… how they lived, fought and died. But Trump does and a day of reckoning is almost here.